If you are arranging care at home or considering long term care in residential/nursing homes we can help you through the complicated maze of options, benefits and financial assistance available when paying for long term care with our specialist advice team. We assist families and attorneys by providing the most suitable financial option for meeting long term care costs based on bespoke solutions. What advice do we offer? We will look at entitlement to local authority support, health authority responsibilities, welfare benefits, legislative matters and tax arrangements. We consider how best to meet full care costs from all appropriate financial products including those designed specifically for this purpose such as immediate needs annuities and incorporating the flexibility required to meet any future changes in care needs. We will also look at other solutions that include investments, inheritance tax planning and property schemes which are designed to provide funds to pay for long term care whilst a property is being sold or alternatively rented out to maximise the income from it. 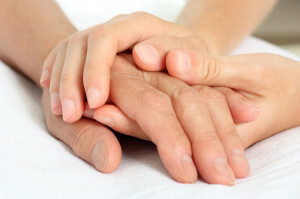 We have a four advisers who are qualified to advise on Long Term Care. Paul Charlwood has also attained an accreditation from Later Life Academy. This means he is a member of the Later Life Academy whose members specialise in advising on long term care and respite care options, equity release, annuities, wealth management & investment and Inheritance tax planning. Why choose Inshore Independent Financial Advisers? We offer a free initial consultation with one of our fully qualified specialist care fees advisers which puts you under no obligation to proceed. We are independent and search the whole market on your behalf. We cover Dorset and Hampshire but may travel further on request. We offer a free initial consultation to discuss your requirements; thereafter we work purely on a fee basis to maintain our independence. Whether you buy a product or not, you will pay us an agreed fee for our advice and services. The fee for this service starts at £750 but is dependent upon the time and complexity of the advice needed and any fee will be agreed before work is started. Alternatively if you just want us to produce a ‘Care Funding Illustrations’, we offer this service for £300. No report will be produced but the quotes will outline the bespoke costs for all the various care annuities available in the market including Immediate Care Plans, Deferred Care Plans, Capital Protected Care Plans, and Level & Escalating Care Plans. Independent advice is essential before you decide which course of action to take. We will inform you of the long term care options available to you. We will advise on the financial implications of long term residential and non- residential care and the funding options that you may wish to consider including immediate needs annuities, investment, equity release or selling your home.